SwervePay Health, LLC announced today that SwervePay users will be able to sign into Link with their Optum ID through Single Sign On (SSO) access allowing a seamless transition to SwervePay’s patient-centric payment solution. Information on the newly expanded relationship between SwervePay and Optum will be available in booth #14037 in the Revenue Cycle Pavilion and booth #69 in the HX360 Innovation Pavilion at the HIMSS16 Conference & Exhibition, taking place February 29-March 4 in Las Vegas. SwervePay’s partnership with Optum will enable users to access the SwervePay platform directly from Link via their Optum ID. Designed to create an intuitive, self-service experience, Link increases operational efficiencies by providing easy access to a broad spectrum of services and applications. These include the Link Dashboard, which provides a centralized, secure web-based gateway to access integrated applications, products and essential information from across payers, plan sponsors, care organizations, associations and governments, and Link Marketplace, which houses a robust catalog of applications and services exclusively developed for care providers and their staff. Link connects more than 600,000 care providers, payers, consumers and other constituents by simplifying workflow and enabling interoperability and real-time transactions. By streamlining touch points, reducing manual processes and automating connections among providers, payers and government entities, the platform drives care quality and outcomes improvements. It reduces costs and produces administrative efficiency from real-time applications for eligibility and benefits, claims management, provider data management, and more. An open environment, Link also provides the tools software developers need to build solutions to connect and improve the health care system. 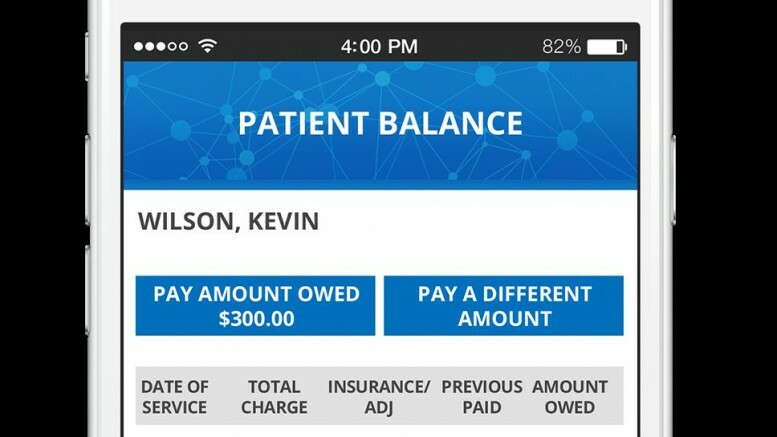 SwervePay, which earlier this month closed on a $10 million capital investment led by Chicago-based Garland Capital Group, leverages text messaging to enable patients to pay their bills on the go, without paper or mobile apps. With its portal-free platform, powerful and secure integration engine, and back-end electronic health record automation, SwervePay enables healthcare providers to more easily and quickly collect patient balances. Patients benefit from the convenience of paying bills via text message in a single click. In addition to reducing outstanding patient balances, SwervePay lowers debt and administrative costs for hospitals.